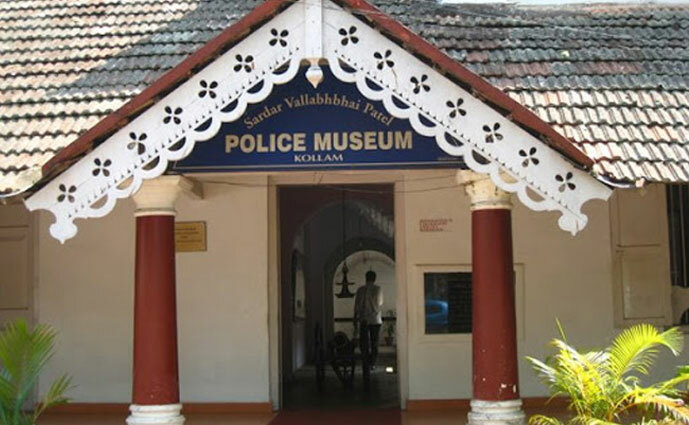 Sardar Vallabhai Patel Police Museum is in Kollam district. This police museum is the only one of its kind in India. This museum shows various developments of the police force in our country. In this museum one can find different types of guns, bullets, machines and various other weapons. Besides there are charts showing the details about fingerprints, DNA tests, several snaps, medals given to Policemen etc. It also houses the arms and ammunitions that were used in the 18th and 19th century. Another attraction of this museum is the Martyr’s gallery.